Children make the best candidates for dental sealants, as they consume candy, juices, and other unhealthy foods more often and fail to clean their teeth thoroughly. They develop cavities that must be sealed immediately to block off the bacteria. Learn more about why sealing the teeth is one of the best ways to protect a child’s dental health. Dental sealants, also known as fillings, are treatments that fix tooth decay. The teeth are already decayed, and sealants prevent any further damage. In some mouths, pieces of food get stuck in the cavities and take weeks to dislodge. Then, the spaces may become discolored with brown or black spots. An infection develops shortly afterward if the problem is not fixed. However, a child may feel normal as the teeth are rotting away. 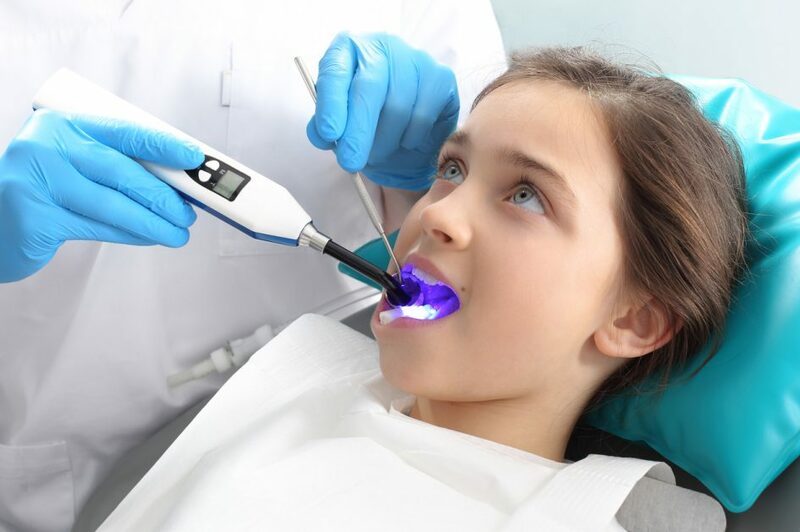 Your child’s dentist uses X-ray technology to detect cavities and infections. Visiting us dentist helps you to find and prevent tooth decay in your child. Dentists are likely to recommend sealants for children because so many young patients need them. These fillings are ideal for children because the procedure is safe and fast. The dentist can numb the mouth with analgesic, but it’s usually unnecessary because many patients feel no pain during treatment. When the work is done, fillings provide smooth, clean surfaces that blend into the natural teeth. Unlike braces, the sealants are comfortable and easy to clean. The results are permanent, so patients do not have to repeat the procedure. At Pediatric Dentistry of Suffolk County, we work with dental patients of all ages, from infants to teens, and various health backgrounds. Call our offices to schedule an appointment for your family!